Following our recent piece about the unprecedented rise in cases of silicosis in Queensland, the Victorian Government has announced it will be pushing to implement world-first standards of safety to prevent the disease. Earlier this year, Gold Coast stone mason Anthony White died, following several months battling the disease. 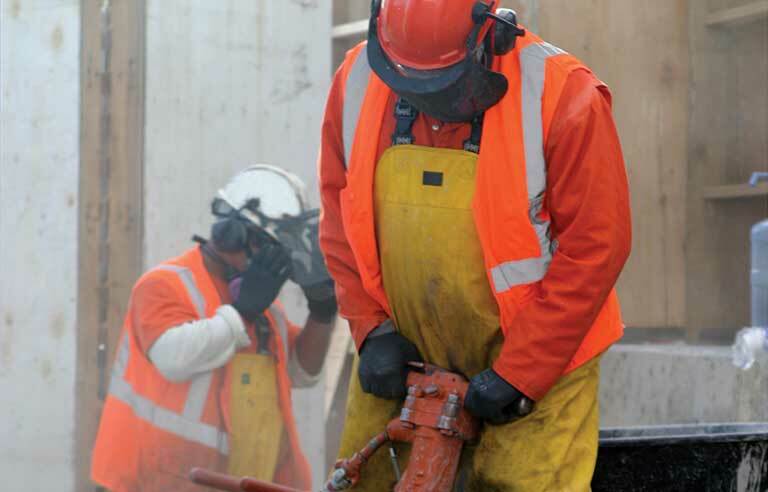 Silicosis or grinder’s asthma, as it has come to be known, is prevalent among workers who use synthetic stone or clay and stone processing equipment, although it isn’t limited to this work. Victorian Workplace Minister Jill Hennessy has indicated that the Government was preparing to introduce extensive changes to address the regulation of silica dust in workplaces. The news of sweeping reforms comes after 36 workers had lodged WorkCover claims for silica-related conditions. Ms Hennessy said Victoria would lobby for the national standard to be dropped to 0.02mg/cubic metre, and if adopted, could make it the strictest in the world. “We need to look at the regulatory environment as well as supporting calls to lower the standard around exposure,” she said. “We’re very impressed with the model in Queensland and … we are currently working on a model to improve the regulation and enforcement when it comes to silica,” she said. Maurice Blackburn asbestos law and dust diseases principal Jonathan Walsh emphasised the need for the issue to be addressed urgently. Mr Walsh explained that many of the workers who were being diagnosed with silicosis or related diseases associated with high exposure to silica dust were “phenomenally young”. Unlike asbestos-related diseases, which tends to affect workers as, or after, they retire, silicosis is prevalent in younger workers. “We are looking at workers in their 20s, and their 30s and … to be told [they] have a progressive form of silicosis, and that they may not survive the decade then, that future is extremely bleak,” Mr Walsh said. South Australia has joined Queensland in offering free silicosis testing for at-risk workers, while sixteen silicosis claims have been made by stonemasons in Victoria in the past three financial years, and a total of 23 silicosis claims in NSW, including by stonemasons.